Durability: Wool fabrics are very durable and flexible. They can withstand being bent 20,000 times without breaking. In comparison, cotton breaks after 3,000 bends, silk after 2,000 bends, and rayon can only be bent 75 times without breaking. 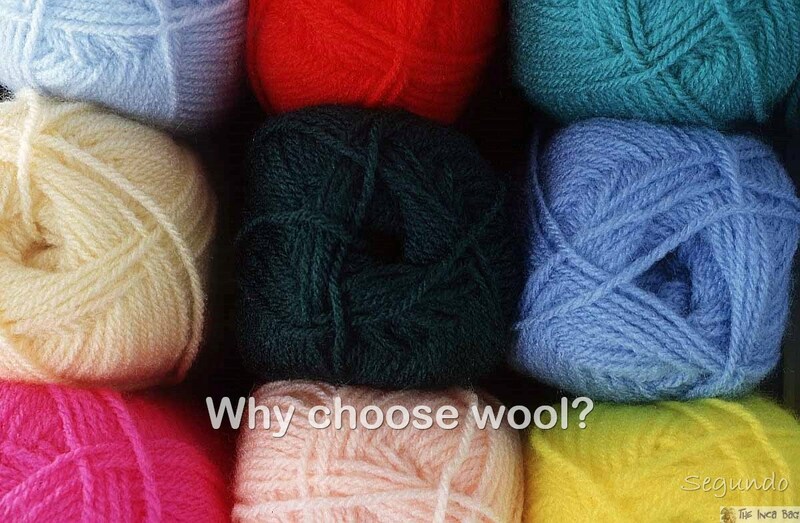 Wool is a hard wearing fiber that retains it's good appearance if given adequate care. It's natural elasticity means that the fibers will stretch under pressure rather than break, and since the fibers "spring back" when the pressure is released, woolen fabrics tend to retain their shape after time. The natural elasticity also makes woolen fabrics resistant to tearing. Our INCA BAG collections are made with wool fibers so that you get the best quality and durability on each item.